Ahleigh has been involved in tennis for 15 years. For much of the time, Ash was training hard and competing in various tennis tournaments around the country and overseas. Ash played at National level for 7 years including holding a few junior National titles. Ash has represented Nelson Bays and Canterbury in tennis since she was a young junior, and continues to represent Nelson Bays. In 2013, Ash took her tennis career to the next level and began coaching in the family business Calder Tennis Training. Coaching at various clubs around the Nelson Bays region. 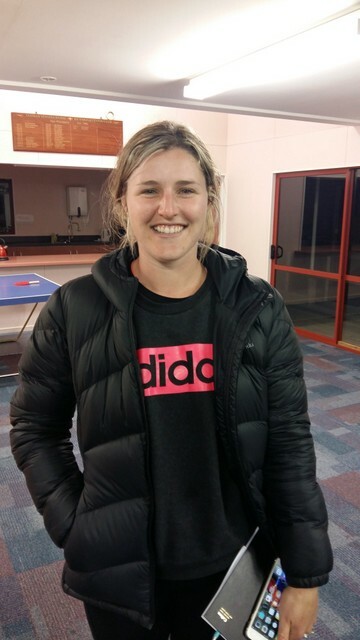 Ash completed her Junior Development coaching course with tennis Australia in late 2014 and is very excited to be involved with helping Calder Tennis Training and Nelson Bays Tennis improve their skills. Ash coaches along side former business partner Ngaire Calder at clubs Hope and Waimea West as an assistant junior coach. Ash become head coach of Motueka Club early 2014 and is starting to develop a group of juniors at the club. Ash believes the best thing about being a coach is watching players develop their skills and inspiring others to develop a real love for the sport. Ash really enjoys coaching junior players as well as beginners of all age groups, as she loves the feeling of helping newcomers grasp tennis strokes and develop into confident players. Like many tennis nuts, Ash lists tennis as one of her favourite hobbies! Ash also likes to play basketball and to relax and unwind she does yoga.